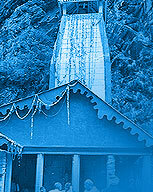 Morning (Neelkanth Mahadev): -In morning move to Neelkanth Mahadev an ancient Temple of Lord Shiva. 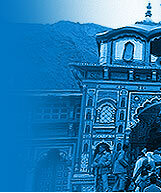 It is situated in arms of Shivalik Hills. Make a wish from your heart and it actually happens. In Devasur Sangram After (Amrita) the potion of immorality comes the Poison (Kalkut Vish) came and no one came to take that then Lord Shiva came and taken that Poison for the sake of humanity because of that poison people were dying but he kept it in his troth and because of that Vish his throat become blue and he sat here for meditation under a waterfall so that the effect of Poison can be reduced, That is why this place called Neelkanth. • The tour for Neelkanth Mahadev will go all the year but in both the Shivratri in winters and in summers the huge crowd come here for the Darshan of Shiva and Chant the “Bolo Bam”. 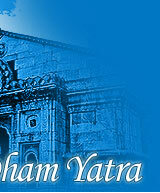 Evening: - Comeback to Haridwar and see mesmerizing Maa Ganga’s Aarti a life time experience. Morning (Maa Shakhumbhara Devi): -In morning move to Maa Shakhumbhara Devi an ancient Temple of Devi Make a wish from your heart and it actually happens, and comes Devi SHAKYA in Jungle. Maa killed lots of Asurs over here. She was on only leafs of plants and grass till eight days and killed Chand, Mund and Raktbeez. So this place is very much sacred for the devotees of Mata Durga. This is a Sidha Pitha of Mata. • The tour is for Maa Shakhumbhara Devi will go by bus only on Ashtmi and Chaudus in every fifteen days and by car you can go everyday there. The Fair held on every Ashtmi and Chaudus but in Nevratras the huge crowd comes here. Morning (Sidh Bali Hanumaan): -In morning hit Sidh Bali Hanumaan an ancient Temple of Lord Hanumaan in arms of nature. • Make a wish from your heart and it actually happens, and comes true by the grace of Hanuman Ji, Locallights strongly belief in this. Noon (Kundi Soteshwer): - After Sidh Bali Hanumaan we will take you to your next destination this place is more interesting then the first one. It called Kundi Soteshwer. This is the Temple of Lord Shiva. • This Temple is from Sat Yuga. It is in Deep jungle and some time you can find elephants over here. Some of the interesting local stories about this Temple you can hear here. 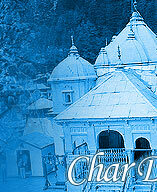 Afternoon (Chandi Devi Temple):- We will take you to Chandi Devi Temple of Mata Chandi. 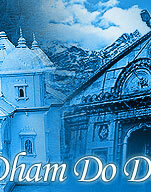 • Then you will visit the Famous and Sidh Temple of Mata Chandi. • Where you can see some Beautiful scenes of Neelgiri Perwat. And can offer your prayers to Mata, and she will fulfill them. 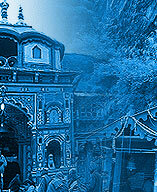 • Take a trip of ropeway which will take you to the temple. This short journey of the Temple is life time experience. The journey of ropeway is so much exiting not only for the kids but for elders too. Evening: - Comeback to Haridwar and goes for mesmerizing Maa Ganga’s Aarti.